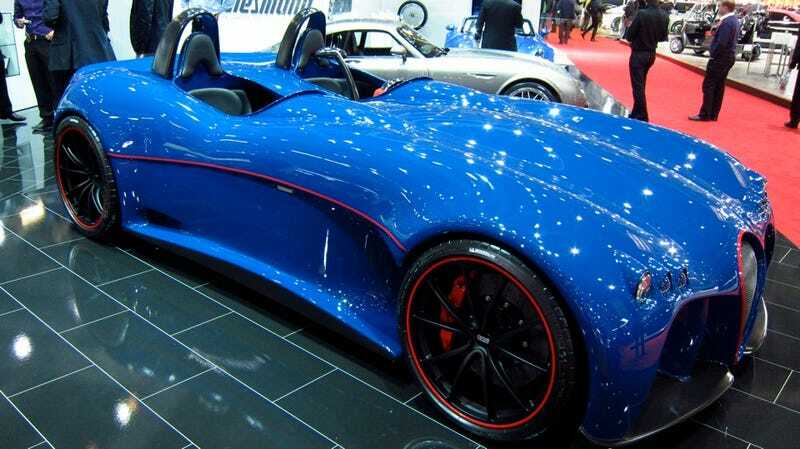 It's got a supercar's power-to-weight ratio of 0.188, but a rear overhang only a chain-reaction collision could love. But who cares? It's another track-day ride to challenge the Ariel Atoms and KTM X-Bows of the world. And we like that. Weismann reps say the company's ready to build the Spyder by next year, if demand dictates. But is there a market for a stripper roadster with a bulbous body, a curb weight of 2,205 lbs, a 4.0-liter BMW V8 producing 414 hp and a 0-60 time well under four seconds? Perhaps, says the Ariel Atom. The only wildcard is price — still unknown.